This pineapple frosting recipe makes enough to fill and top a layer cake. It's a great frosting for cupcakes as well. Crushed pineapple gives the frosting that wonderful fruity flavor. Only four ingredients go into this simple topping. For a Bundt cake or tube cake, halve the recipe but add more pineapple and spoon the topping over the cake. Add about 1/2 cup of flaked coconut (toasted if you like) to the topping for fabulous tropical flavor. Place a mesh sieve over a bowl and strain the pineapple juice into the bowl. Set the juice aside. Measure 6 tablespoons (about 1/3 cup) of crushed pineapple into a small bowl and set aside. Refrigerate or freeze any remaining crushed pineapple and juice for another use, if desired. In a mixing bowl with an electric mixer cream the butter until smooth and creamy. Gradually beat in the confectioners' sugar. Continue beating until light and fluffy. Stir in the 6 tablespoons of crushed pineapple and just enough of the reserved pineapple juice to make it spreadable. Beat to blend thoroughly. Spread over cake layers or cupcakes. 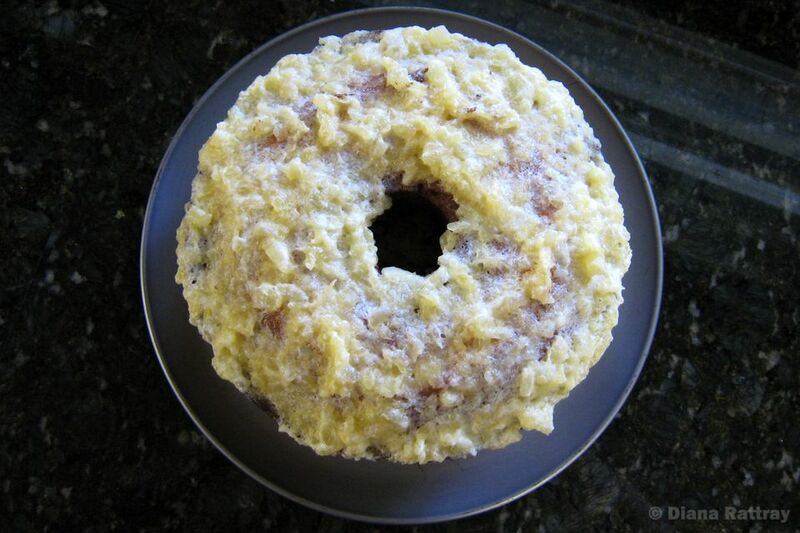 If desired, add more crushed pineapple and spoon the mixture over a Bundt cake. Add about 1/2 cup of toasted coconut to the topping. To toast coconut, spread it out in a dry skillet and place the skillet over medium heat. Cook, stirring and turning constantly until the coconut is browned and slightly dry.